Commission is a fund or a bonus given to employees by the employer to motivate them to sell more. The Commission system in CellSmart POS allows you to create different commission templates and assign them to different employees with different commission rates. You have the ability to give your employees different bonuses for different purposes. You can edit the commission templates and assign them to different products, services, categories in the software. Note: You must enable the commission system in order to create commission templates. Click on the drop down menu for settings. Scroll down to till Commissions, and check the box to enable commission system. The commission icon will not be visible in the Admin tools tab and you can access the commissions module. From the commission list, select the commission you want to set up or edit. Click on the Edit Commission button from the options menu. In the Sales Commission window, Click on the Products category given on the left side and it will expand the category to different sub-categories. Click on the category you want to add the commission to from the list provided. Once you click on the category, it will expand and provide you with a few more sub-categories to select from. Click on the sub-category you want to add the commission to. Select the appropriate Commission type based on the product or service by clicking on the drop down menu. Note ( you can only select one commission template for each product or service). 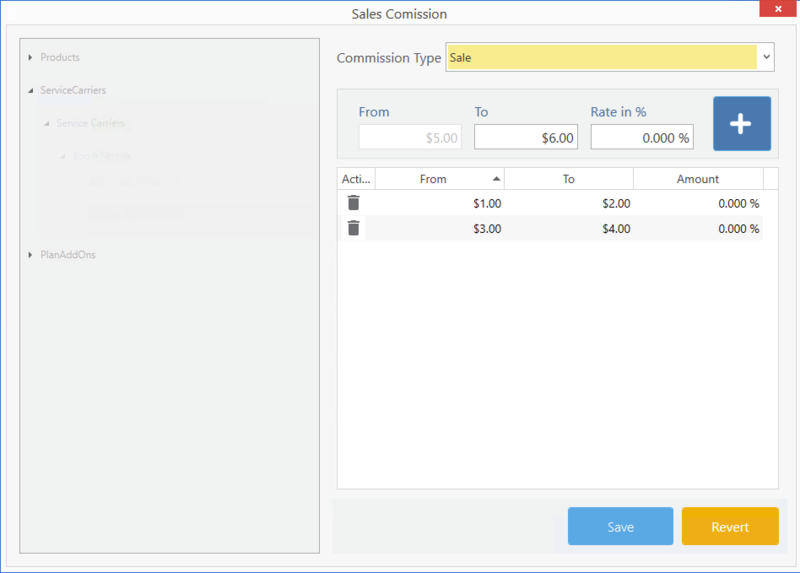 In the From and To fields provided on the right side enter the amount of the total sale for when you want the commission to be given. For Example( if you enabled commission on a Bluetooth, you can enter From: $1 and To: $100.) This states that the commission will be given when the total sale is from $1 to $100 and after it reaches $100, it will be eligible for another commission. Click on the Blue plus icon to add the commission. To add more Commission ranges, For example ( if you already created a range from $1 to $100 ), you can create a second range ranging From: $101 To: $200 which will give an even higher amount of commission for that specific product or service. Click on the pencil icon from the options menu to edit the user. In the Employee window, click on the commissions tab. toggle the Pay Commission button to YES. Select the payee from the List( The person who is getting paid ) by clicking on the drop down menu. If the payee does not exist, click on the New Payee option to create a new a payee. The Commission bank contains a record of how many commissions you received, how many are pending, the total commissions received and the voided commissions. You can pay your employees commissions through the commission bank. 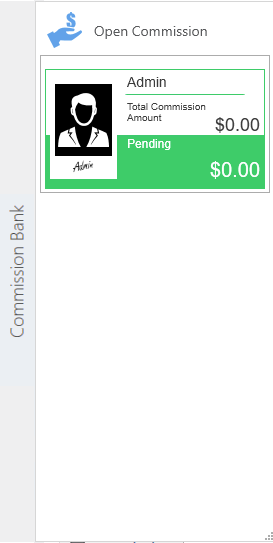 Click on the Commission Bank located on the left most side of the dashboard. Select the employee from the bank. Select the commission you want to pay. Click on the Pay commission to pay the commission. Select the commission you want to void. Click on the Void button to void the commission.